FC Barcelona Hospitality has done it again! Last Thursday, May 31st, the Club hosted 425 people at Camp Nou to show appreciation for their business by providing them with a unique experience that included a host of activities both on the field and off. 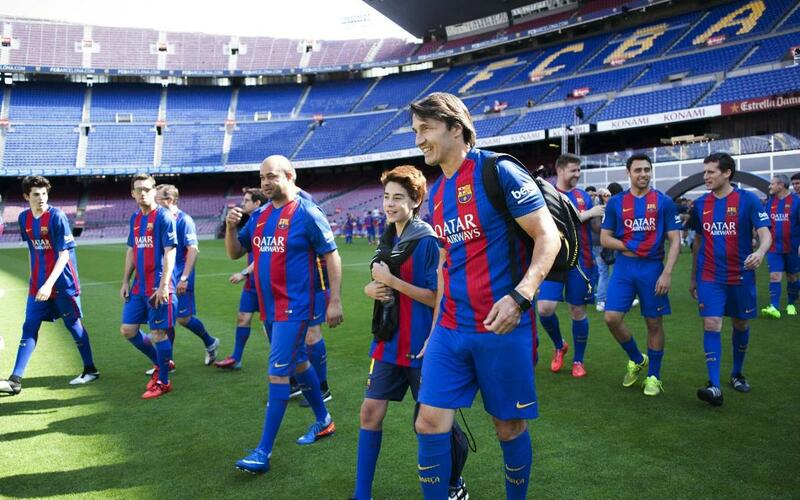 The invitees represented 275 companies that held Camp Nou VIP boxes and seats last season. The day began at 4.00pm and ended at midnight. On the field, those in attendance were made to feel just like the first team players by participating in a match, after which they were presented with trophies. Those who did not play took part in other diversions, including a wine tasting, an improv show, and a cocktail-making class. Afterwards, everyone got together for dinner overlooking the field and participated in a series of draws that included small gifts. The night ended with a special show put on by Maori tribesmen performing the haka.